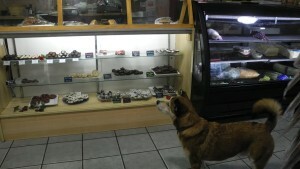 Pet Pantry Provisions - We would like to welcome a local author! We would like to welcome a local author! Suzi Higley loves animals. Throughout her life they have found their way to her, looking for help. 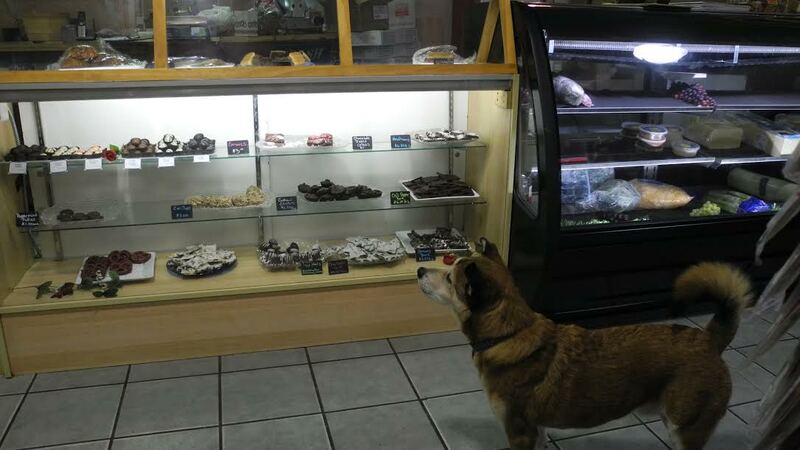 She has rescued many dogs and she’s discovered that they inhabited a special place in her heart. While living in Vermont, Suzi Higley just happened to pick up a copy of a local newspaper while getting her car serviced at a local dealership. She just happened to go to the pet section where she just happened to see an article about dogs being rescued by All Breed Rescue-Animal Crackers. She just happened to see a beautiful Newfoundland mix up for adoption. She had a soft spot in her heart for Newfies so something made her call and ask if she was still available. Sadly, she wasn’t but Suzi then uttered the words that all Rescues love to hear…”What can I do to help?” What follows is the story of Finnegan, then known as Norm. True to the name of her first book, Suzi decided that one book is not nearly enough. Her second book, Finnegan For Mayor continues where the first book leaves off. Helped by Suzi’s friend Paula M. Caron, Finnegan, now living in Portsmouth NH, decides to run for Mayor. He has unique ideas on how to manage the city and tells his tale as only Finnegan can. Both books are filled with photographs and both books will bring a smile…and a tear…to your eyes. 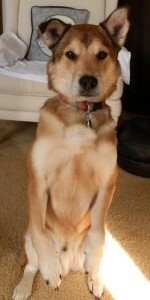 Finnegan’s life has changed for the better since his adoption by Suzi and her family. We are sure that he will inspire Suzi to write more books chronicling his life. 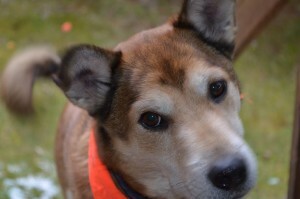 Finnegan has changed Suzi’s life and is working on changing others as well. Suzi’s books will be available for sale here at the Pet Pantry. 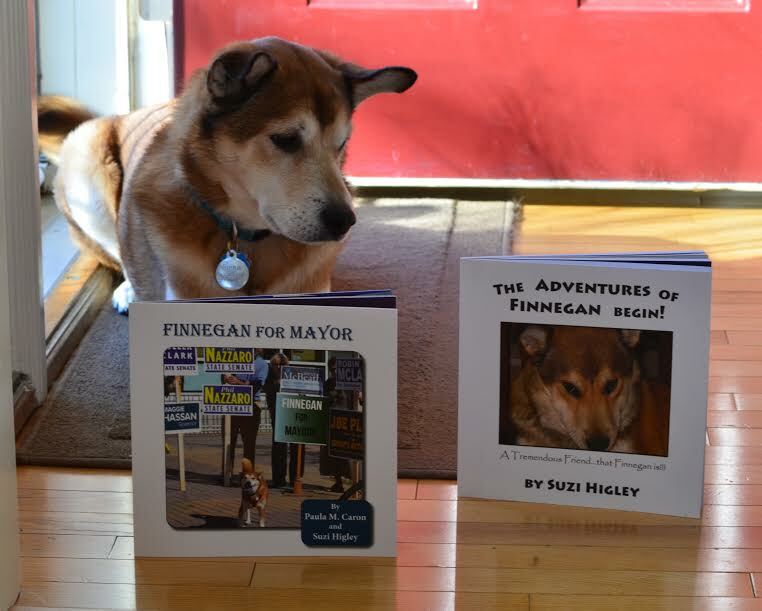 Both The Adventures of Finnegan and Finnegan For Mayor are $12.00 each. We have signed and unsigned copies here at the store, however, if you would like, she will be more than happy to sign a personalized copy for you. Just let us know.